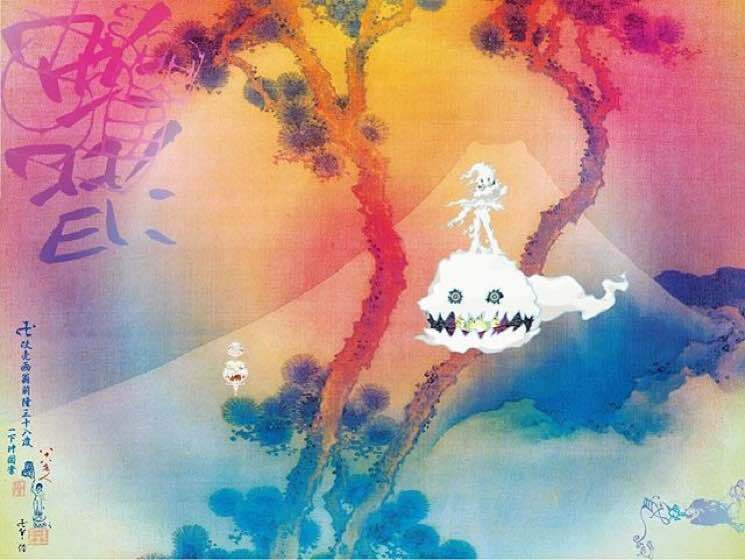 Kid Cudi and Kanye West are set to deliver a joint album called Kids See Ghosts on Friday (June 8), and ahead of the album listening party, the duo have unveiled the cover artwork. The colourful piece was designed by Takashi Murakami, and features some ghoulish ghost-like figures in front of a rainbow-tinted background. Murakami famously designed the cover art for West's 2007 album Graduation, as well. West previously teased the Kids See Ghosts tracklisting on Twitter. See the working titles for the record's seven tracks below. Of course, just last week, West released his latest solo album ye. Prior to that, he produced Pusha-T's DAYTONA. You can pre-order ye and Kids See Ghosts (or both!) on vinyl via Umusic.